Straight out of the box these wheels are the real deal. Light, stiff, good looking and well made these wheels should see you right. Weighing in at just 785 g for the front wheel and 970g for the rear they come with 50mm deep rims with the usual stand Campagolo logo on them. Perhaps the best thing about these wheels though are the fact they say “Bullet” on them. Who doesn’t want to ride round with that shouting out to everyone? 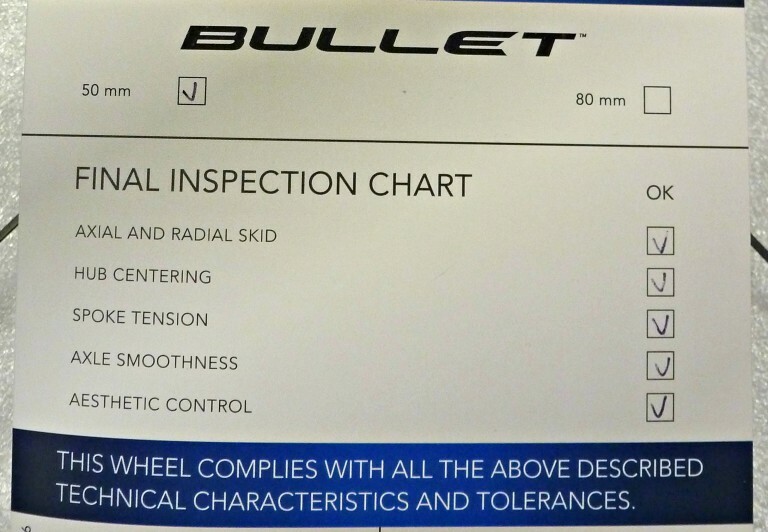 These are every bit a high performance wheel and looking at the features and deign you can see why. Besides the obvious and lovely aesthetics this is a carbon wheel that’ll be at home on any kind of surface. 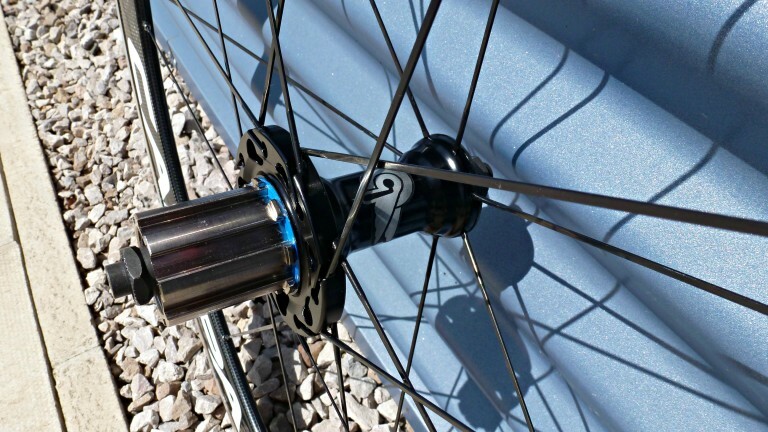 The wheels are designed to allow only minimum vibrations on uneven surfaces and the structure of the rims should offer a great response when you put the hammer down. 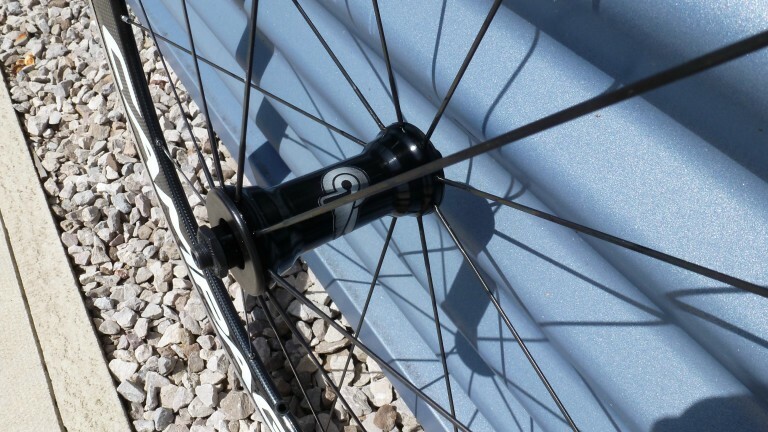 Campagnolo have once again produce a strong reliable wheel, you can tell by giving them a once over that with good maintenance these wheels should last you a decent amount of time. So what would you use these wheels for? Pretty much anything to be honest, a good spring/summer wheel that will be great for criteriums and time Trial. That said we know of people who’ve used them as a winter wheels with remarkable results and let’s face it they’ll be just at home on a good Sunday ride or propped up outside your favourite café! 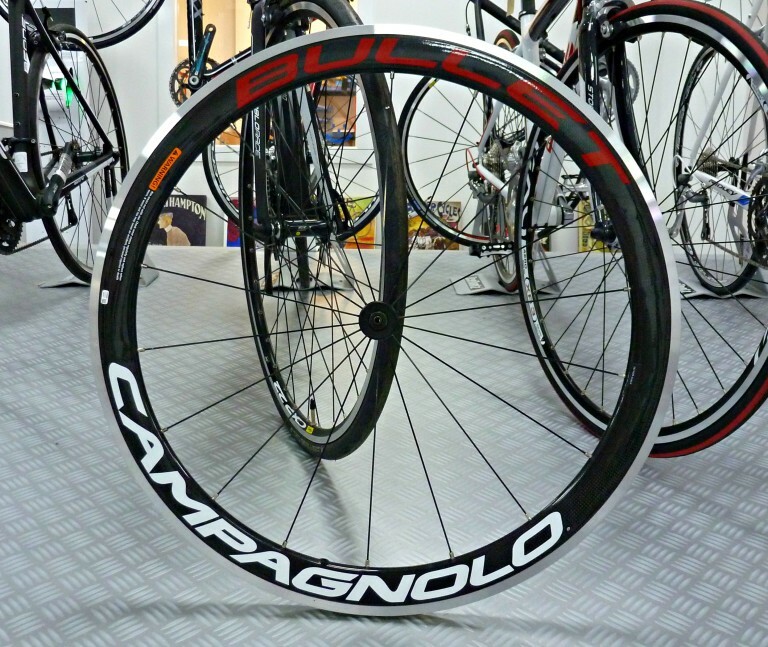 The Campagnolo Bullet 50 Carbon Clincher Wheelset, probably the best value 50mm wheel on the market. 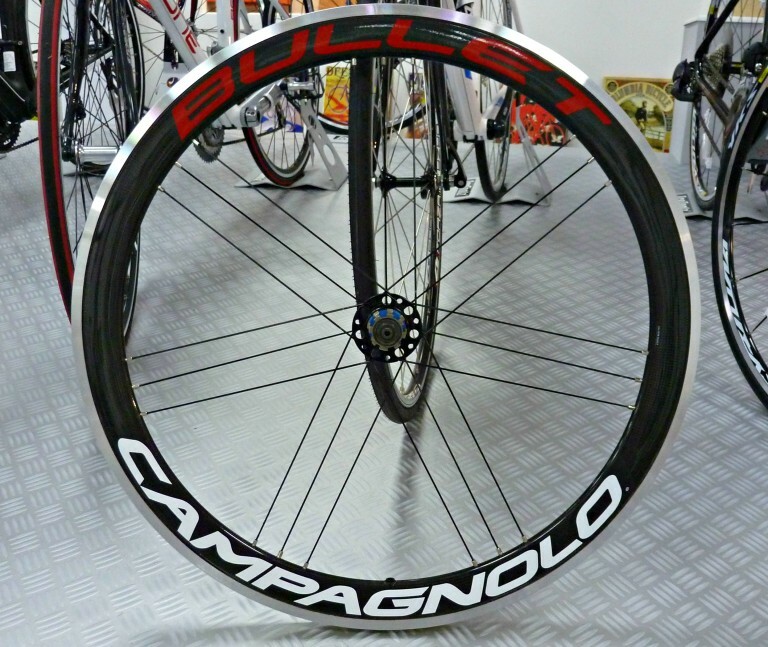 Tagged bullet 50, campagnolo, carbon, carbon wheels. Bookmark the permalink. Where did you get this wheel? I live in the states and I’ve never seen a Bullet carbon wheel with those graphics (nice). Enter your email address to subscribe to the Merlin blog and receive notifications of new posts via email.